Let us show you how you and your family can access immediate savings that will save you money on virtually every prescription medication you may ever need. Try it FREE for a month and save! Individual plans starting at just $7.99 per month. Save at over 60,000 participating pharmacies, at over 226,000* available dental practice locations, and at 285,000 physicians and hospitals and 20,000 eye care locations nationwide. Smile brighter with big savings on dental services at over 226,000* available dental practice locations nationwide. Try it FREE for a month. Family plans starting at just $10.99 per month. Save at over 60,000 participating pharmacies, at over 226,000* available dental practice locations, and at 285,000 physicians and hospitals and 20,000 eye care locations nationwide. Every year, the average American fills 12 prescriptions at an average retail price of $71 per prescription. The 1020 RX Pricing Pharmacy Plan saves you money and takes the guesswork out of paying for prescription medications. Our discount plan segments brand name and generic drugs into three price classifications making it easy for you to consult with your health care provider to find the most effective medication at the lowest cost. Deeper discounts may also apply to maintenance medications purchased through our mail order pharmacy program. 1020RX offers prescription solutions for a real savings program and is not insurance. The advantages to you are that there is no paperwork, no age limits, no coupons and no limitation of use. You can use our plan as often as you need, for as long as you maintain your membership. The potential savings are limitless! Just present your prescription card to your pharmacist and save every time you fill your prescription. Try it FREE for a month, cancel at any time in not 100% satisfied. 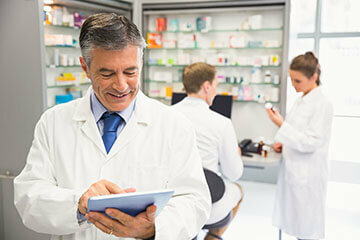 Save an average of 46% on both Brand-name and Generic Prescription Drugs!